Nothing I’d heard previously from Heartless Bastards prepared me for the sensory overload of opening track Wind Up Bird and the nine songs that follow. All kinds of imagery are conjured up as the band filter REM through Nirvana via Granddaddy on an album that grips you by the throat and shakes you until you see stars. It’s taken a lot of time for me to ‘get a handle’ on this album as it’s just the right side of the ‘Punk’/introspective barrier for me to keep playing it. Just like many of the albums son #1 liked in the mid 90’s I always knew that there were some good songs fighting to escape the thundering guitars, crashing drums and histrionic vocals; and that’s true of a song called Hi-Line. Singer-songwriter Erika Wennerstrom winds everything back; but not so much where the listener actually gets comfortable; it’s not ‘that’ sort of album. For me Pocket Full of Thirst is the most commercial song here; but not so commercial it would get played on daytime radio. Reminiscent of latter-day Cowboy Junkies the band takes an intensely softer approach as the singer takes us into a very dark place indeed. Then; there is The Fool. Another ‘dark song’ but so powerful it feels like a punch to the mouth every time I hear it; but masochistically I love it! 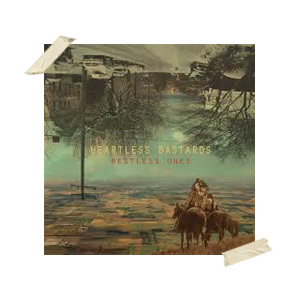 Restless Ones closes with the epic feedback encrusted and wailing vocals of Tristessa and I won’t be surprised if it’s played at the end of future concerts; or possibly the end of the world. In theory I shouldn’t have liked Restless Ones; but I’ve had a few stroppy days lately and this has been my ‘go to album’ – play it loud and play it proud!